Wow! Just wow! There’s really not much more to say. If you love funfetti, chocolate drips, popcorn and sweets, this cake is definitely for you!! 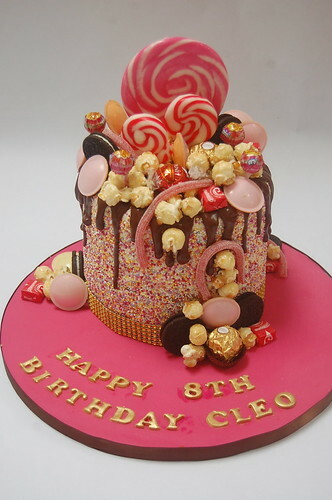 Funfetti Drip Cake – from £80.